June has been a BIG month for turtle doves. One of the UK’s (and Europe’s) most threatened birds, their plight has inspired farmers, politicians, birders and nature-lovers to step up to help save them. We reflect on what could prove to be a pivotal time for this perilously rare summer visitor and British breeding bird. Burnham Wick Farm is a medium-sized arable farm. 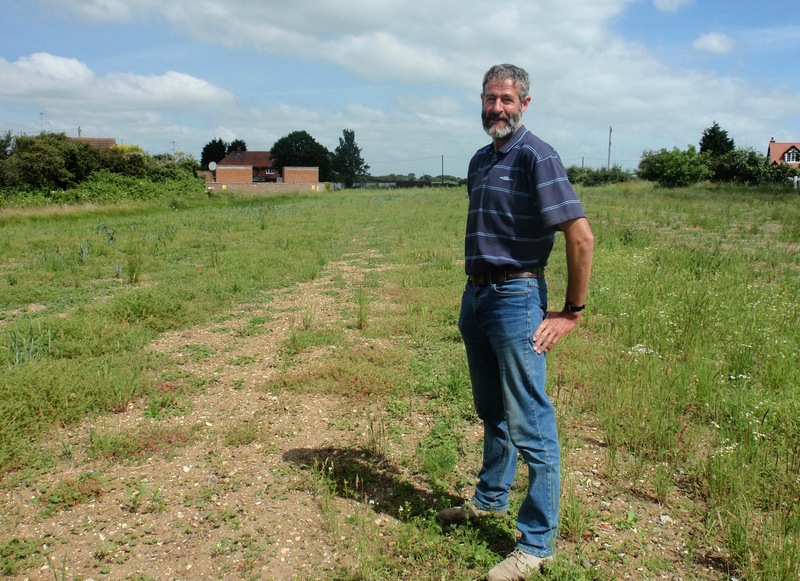 Since Martin Smith took over its management in 2003, he has worked hard to develop a thriving arable environment, whilst promoting habitat diversity. An appreciation of farmland wildlife and its coexistence alongside productive farming has clearly been a strong motivation for Martin’s work. A future for turtle doves as Springwatch stars? Back in January, Theresa May launched Defra’s long-awaited 25 year environment plan. 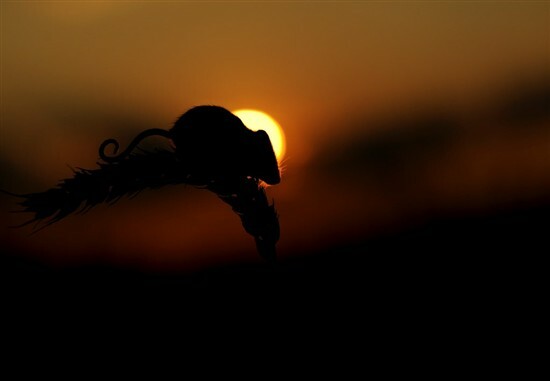 A plan slathered in promises to secure a generational turn around in the fortunes of our natural world. One key idea was to create a ‘world-leading environmental watchdog’ to ensure the interests of our environment had a strong voice in decision making. Our Wild Things at Easter events are now in full swing and running across RSPB in the East reserves throughout the Easter holidays - find your nearest reserve running events here. Whether you can make it to an RSPB reserve or not, RSPB volunteer Georgia Hebdige has pulled together the top ten ways to be a wild thing this spring. Our Wild Things at Easter events are now in full swing and running across RSPB in the East reserves throughout the Easter holidays - find your nearest reserve running events here. Whether you can make it to an RSPB reserve or not, RSPB volunteer Georgia Hebdige has pulled together the top five wild things to see this spring. Whether you’re a climate change sceptic or completely accept it, we must all appreciate that our weather systems are changing and becoming increasingly unpredictable. This piece first appeared in the Eastern Daily Press on 31st January 2018. What will you be doing this Valentine’s Day? Romantic dinner? Trip to Paris? Buying a last-minute gift? Indulging in a takeaway with friends? 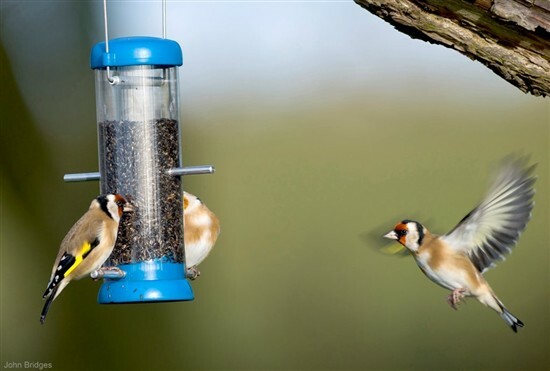 Big Garden Birdwatch: Which birds took the top 5 spots last year? 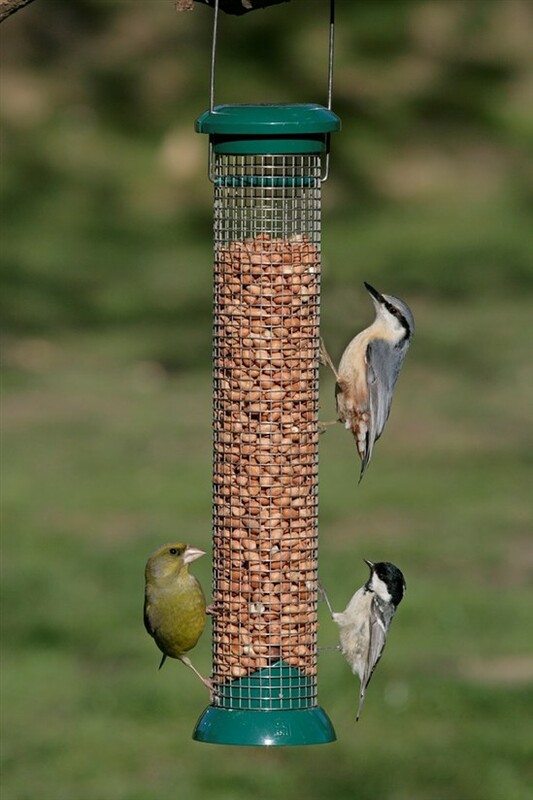 Big Garden Birdwatch: Which birds took the top spots last year? There's just over a week to go until #BigGardenBirdwatch! So we thought we'd take a look at some familiar faces that topped the Big Garden Birdwatch charts here in the east last year, starting this week's countdown at number ten and finishing at number 6 - look out for the top five next week! Not a kebab made of birds! A kebab for the birds in your garden to eat, and one that's not toxic to your dogs and cats either. This kebab is very much like our other kebab, but without the raisins, and with a few cute dogs thrown in. 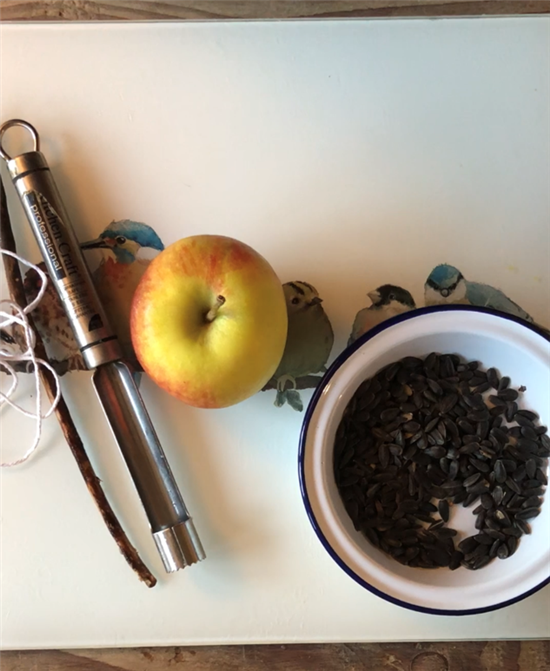 It's the perfect way to get ready for the Big Garden Birdwatch: cheap and fun to make. Oh and you can sign up for the Big Garden Birdwatch for free here! No, not made of birds! A kebab for birds to eat! It's time to once again fill up your feeders and register for the Big Garden Birdwatch 2018. 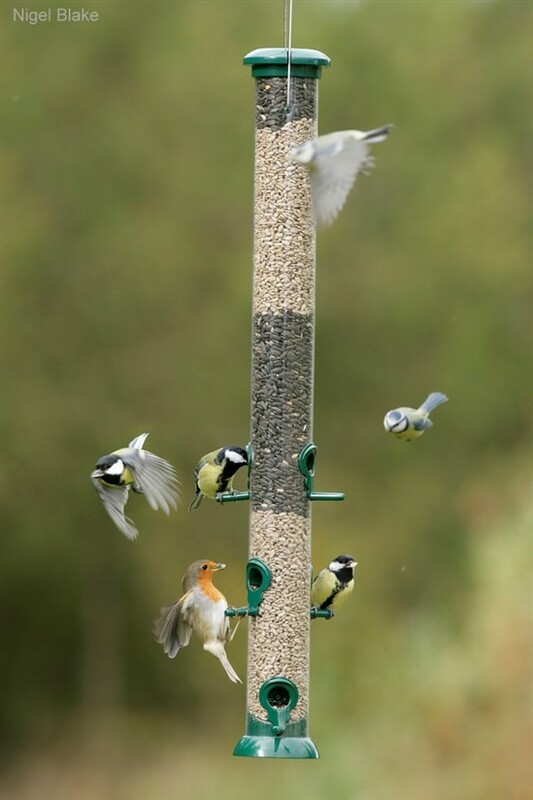 Last year, over 76,000 people in the East, and close to half-a-million people nationally, joined in with the world’s largest garden wildlife survey, counting more than eight million birds. This piece first appeared in the Eastern Daily Press on 6th December 2017. This month we have had more fantastic news from the #SnettsHide appeal. An individual has kindly donated £30,000 towards rebuilding the hide at RSPB Snettisham! And, the icing on the cake? We also received a cheque from a community trust for £2,000. This means we are nearly half way to reaching our target. Head out into the garden first thing in the morning and witness these eight-legged creatures weave glistening dew-dropping webs. 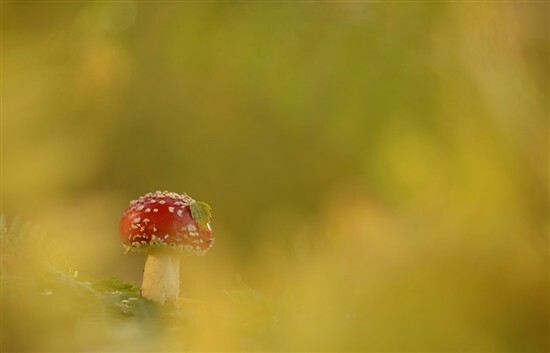 Look out for mushrooms and toadstools in enchanted forests. If you’re very quiet you might see fairies resting there. Look, don’t touch! Use our fungi-finder bingo sheet to help you spot an amazing array of fungi. Whenever I stand on the sea wall at RSPB Wallasea Island, with the dust-muddied estuarine water lapping at the sea aster, looking at an egret silhouetted against clouds resting on the tide, mottling the sun, I feel wholly wild. 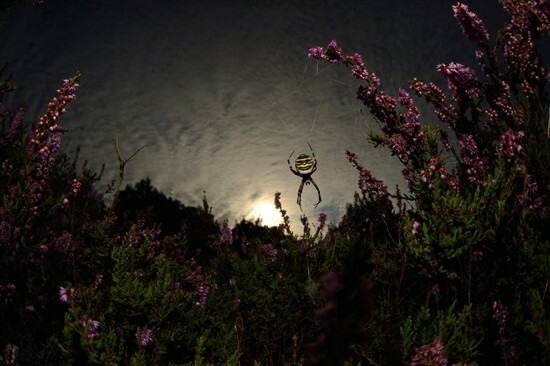 As Halloween approaches, creatures are hunkering down and hibernating, but across RSPB nature reserves, in the depths of enchanted forests, mystical marshes, frightening fens, and haunted heathlands there remain many beasts that go bump in the night. Author: Martin Payne. This piece was originally published in Essex Life. 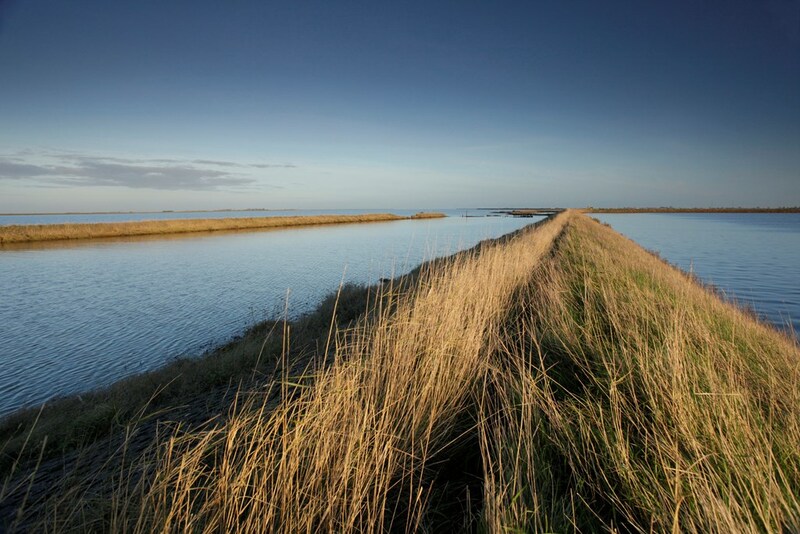 We had some wonderful news last week, a community trust has pledged another £5,000 to Rebuild Snettisham Hide which takes us ever closer to raising the money we need to rebuild the hides we lost in the 2013 storm surge. Author: Emily Kench. This piece originally appeared in the Eastern Daily Press on 19 August 2017. All nature has a ‘wow factor’. Everything from the emergence of dragonflies from deep within the darkest pond water, to the swifts that eat and sleep in the air, to the intricate underground labyrinths of rabbits, constructed for their huge families – every obscurity and complexity amazes.